Szentpaly is the story of five characters trapped in a war-torn future world called Szentpaly where outcasts have the choice to either hide from their warlord authorities or fight against them. This play is an abrasive tale about a disarrayed society, where intolerance sets out to destroy the last remains of humankind. 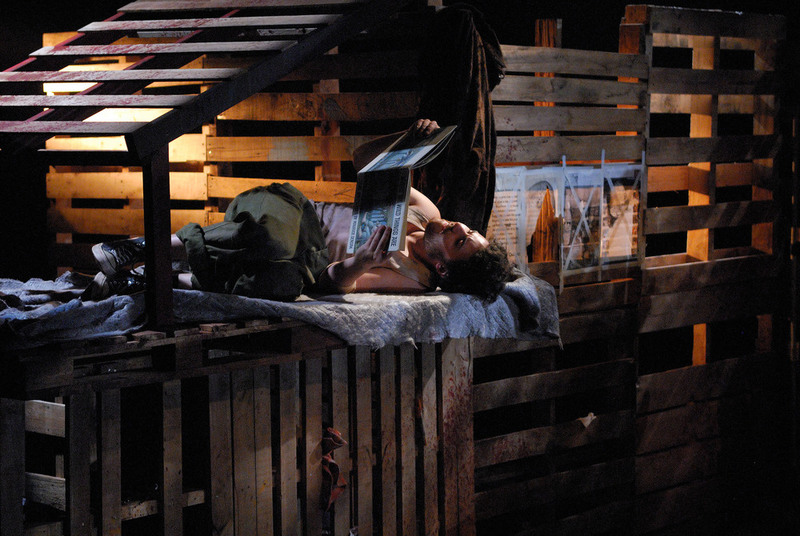 The set was constructed from recycled timber pallets and becomes the characters make-shift home. 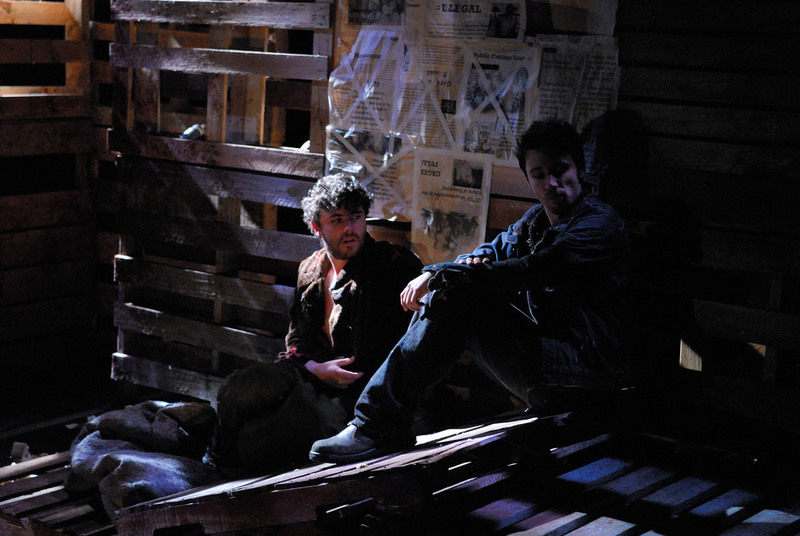 As the play progresses, so does the degree of violence and the destruction of the “home”. This transition is also reflected in the journey of the design.